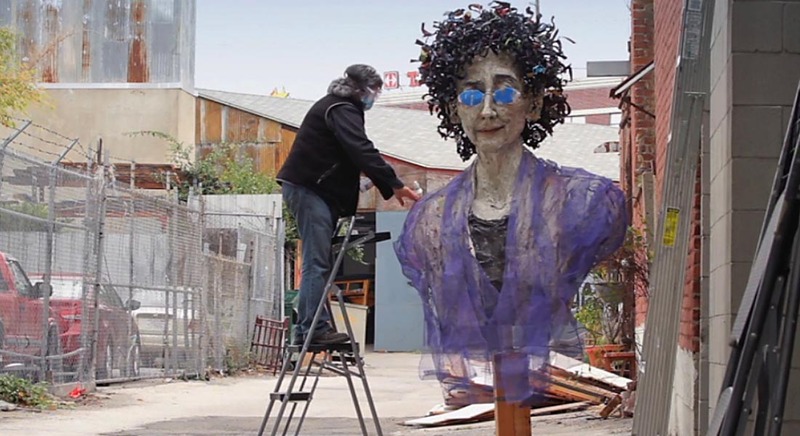 Mindy Alper is a tortured and brilliant 56 year old artist who is represented by one of Los Angeles’ top galleries. Acute anxiety, mental disorder and devastating depression have caused her to be committed to mental institutions undergo electro shock therapy and survive a 10 year period without the ability to speak. Her hyper self-awareness has allowed her to produce a lifelong body of work that expresses her emotional state with powerful psychological precision. Through interviews, reenactments, the building of an eight and a half foot papier-maché ‘ bust of her beloved psychiatrist, and examining drawings made from the time she was a child, we learn how she has emerged from darkness and isolation to a life that includes love, trust and support.